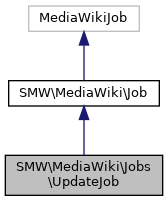 UpdateJob is responsible for the asynchronous update of semantic data using MediaWiki's JobQueue infrastructure. 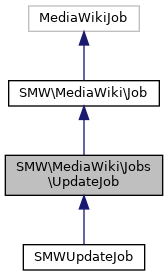 Update jobs are created if, when saving an article, it is detected that the content of other pages must be re-parsed as well (e.g. due to some type change). This job does not update the page display or parser cache, so in general it might happen that part of the wiki page still displays old data (e.g. formatting in-page values based on a datatype thathas since been changed), whereas the Factbox and query/browsing interfaces might already show the updated records.